Learning to ride a motorcycle as a beginner can be a bit challenging. You think you have passed your driving school but in reality, nothing prepares you for the real world. Most experienced motorcyclists probably laugh at some of the mistakes made when they were beginners. But making too many judgmental errors as a novice is not a joke since not everybody is lucky to live through the experience. In retrospect, knowledge is passed on from the experienced to the beginners and there are a couple of mistakes you should avoid. Skipping the Motorcycle Safety Foundation Basic Rider Course- It is a mistake most inexperienced riders make; their pride tells them they are ‘good enough’. Worse, it could be your friends telling you the MSF Basic rider course is for losers and slow-learners. It is probably the closest thing that will prepare you for the real world of motorcycle riding. Don’t worry about overstaying because the weekend package is sufficient to teach you the crucial points of safe riding. Buying a Powerful Superbike- No! Experienced old riders are not jealous when they tell you not to buy a powerful superbike if you are a beginner. If you have deep pockets, you might be tempted to buy the latest Kawasaki Ninja or Hayabusa but the sake of your safety, just stick to the 250cc or 500cc starter motorcycle until you are confident enough to upgrade. Neglecting the safety check routine- If you skipped the MSF basic rider course then you probably won’t know how important it is to perform a thorough safety check before you ride. Most beginners are too excited to get on the road that they forget to check the gas tank, brakes and the tires. It only takes 2 minutes. 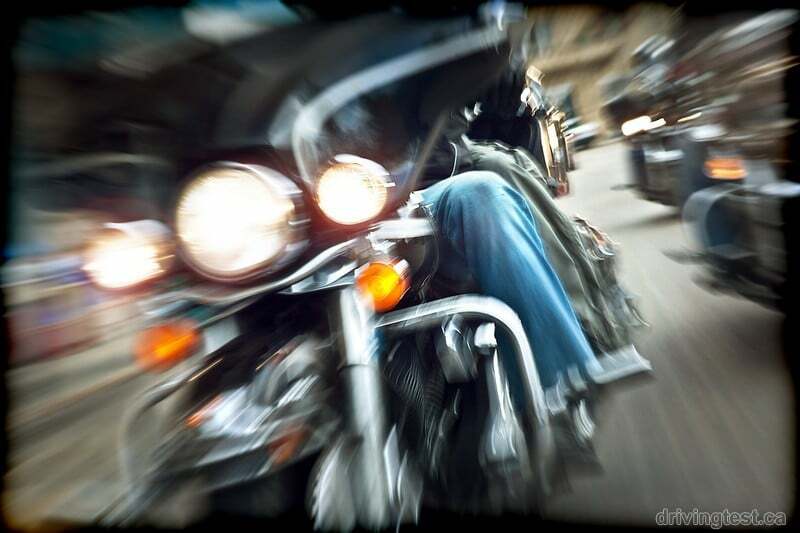 Underestimating riding in traffic- Do not even for a second think that riding a motorcycle in traffic jam is simple like you are driving a car. In fact, you would rather compare your motorcycle to a bicycle than a car. Reason? You are exposed on the outside and all your senses including your 6th instinct sense must be very alert. Additionally, a good rider assumes that he/she is invisible to increase alertness. Be very careful when riding on congested roads especially on the highway. Make sure you know the traffic movements, railway crossing, expansion joints and pedestrian crossings. If you are a beginner, you ought to watch out for cars that are likely to make unexpected left turns since they are the most common causes of accidents in the United States. Even experienced riders fall victim to their illegal maneuver. Not mastering counter-steering- It is really simple yet easy to forget when you are a newbie rider. Just push the handlebar depending on the direction you want to go. Press right when turning right and left when turning left. The counter-steering degree can be adjusted according to the angle of the turning. Remember, practice makes perfect. Riding beyond your familiar territory- It sounds crazy for a beginner motorcyclist to just jump on the fast lane highway like in Texas where the average speed limit is 85mph. Instead, start on the slow lane while travelling at an average speed before you even think of going to the fastest lane. Also, avoid riding in a group of motorcyclists if you are not confident of your solo skills. Group riding adventure is very competitive and it pushes novice riders to their limits. You will probably want to catch up with your friends who are experienced riders and not sympathetic to your situation. Not giving yourself an escape route or a buffer zone- You are riding your motorcycle on the highway but then you notice a soccer mom in an SUV. However, that does not ring the alarm until you notice she seems distracted talking on the phone while her kids are engaged in a family feud in the backseat. In fact, you are not sure if she is aware of your presence. What will you do? Don’t panic! Try as much as possible to create considerable space between your motorcycle and the SUV. Look out for a potential escape route in case things go south. Bear in mind that the distracted soccer mom in the SUV is not the only potential danger on the road but it could be anybody else who seems pre-occupied. Not wearing the appropriate riding gear- Even if you are riding less than 200 meters to the mall at the street corner, do not forget your protective gear. Hence, invest on high quality boots, jacket, armor and gloves. Do not borrow old worn out accessories from family members or friends but go buy yourself a brand new safety gear. The asphalt is not forgiving and a single mistake such as forgetting to buckle your helmet could be lead to severe repercussions.